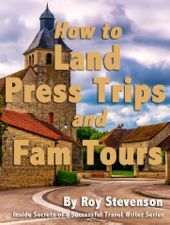 Often I’m asked how I come up with a travel itinerary for my writing assignments, especially when I’m traveling overseas to a place I’ve never been before. My goal is always to make the most of every trip, whether I’m traveling on assignment or just planning a vacation. If you’re a travel writer, you need to be very well organized when you reach your destination, especially when the destination is international. The real pros spend several weeks, or even months, researching and planning their itineraries before they depart. No matter whether you’re a tourist or a travel writer (or both), having a well-researched overseas travel itinerary will help you get the most out of your trip, and return home feeling like you really got to know the place. Here was a couple that had spent a lot of money on their stopover in Singapore: hotel, meals, airfare—and yet they had done absolutely no homework on what they were going to do when they got here! 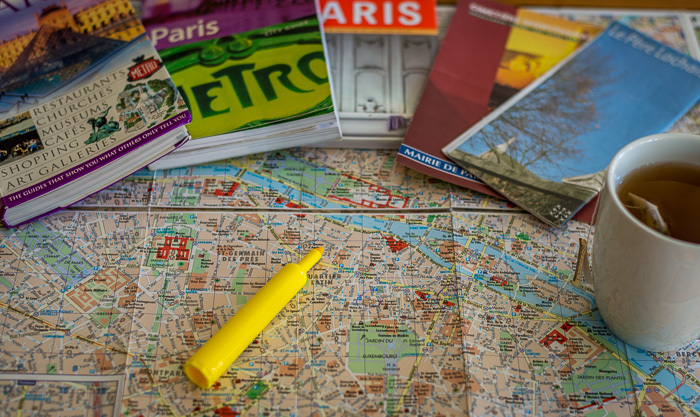 Half the fun of going overseas is finding guidebooks and maps and reading through them to seek out the main attractions and all other things of interest before you ever leave home. As your departure date approaches, your excitement builds as you learn more and more about your destination. Doing your homework enables you to maximize your time at your destination and see as much as possible. As a travel writer, this means you get to research and write more stories - and get paid more in the long run. Use the Internet extensively for your research. A few years ago I couldn’t locate a guidebook with anything substantial on Xi’an, China, for example, but the Internet proved to be a gold mine. I trotted off happily with a several dozen printed pages - my unofficial guidebook. It impressed our local guide who toured us around so much that he even referred to it a few times. Read travel magazines - there are lots of them on the racks. Most are somewhat light on detailed information and they tend to give a broad overview of the sights. But, they do provide a good reference point. I sometimes use them as a starting point, and then proceed to more detailed guidebooks and Internet information. Talk to your travel agent. They usually have tourist literature and travel itineraries, which also fill in some of the gaps. Examine tour itineraries closely, because they usually have all the juicy attractions listed. Read Guidebooks and a Get a Good Map. Travel guidebooks contain a wealth of information and usually have travel itinerary suggestions. They give you information about walking tours and when you'll need transportation. Many guidebooks have a large map included. If not, buy one. For extended visits, I purchase plastic laminated maps of the destination. These can take a lot of abuse including folding and refolding, and rain and mud. Okay, you’ve assembled as much information as you can from a variety of sources. What’s your next step? Highlight the things that interest you the most. For travel writers, make a list of the things you need to see for your writing assignments. If you pre-sold some story ideas to magazines, you already have a good idea of what you need to see. These take high priority on your travel itinerary. Since I pre-sell several travel stories before I take an overseas trip, my list includes everything I need to see to write my stories, plus many other things I enjoy. On my list are favorite things like World War II sites and military museums, temples, historical sites, museums, cultural sites and shows, quirky things like snake shows, and shopping markets. Once you have a prioritized list, dig out your map. Look at where everything is located on the map, and ‘cluster’ them according to locality. You’ll get an idea of what attractions are close together, and which ones are farther afield. It’s a lot of work, but it pays off because you get a good idea of the lay of the land before you’ve left home. And it enables you to plan a good daily travel itinerary. Now it’s time to put your daily travel itinerary together. Start by selecting attractions in the same area, or close to each other. “Cluster” your sights and plan to do the things near each other on the same day. If you don’t cluster your sights, you’ll waste a lot of time and taxi money shuttling back and forth from day to day. This is where your map and your guidebook come in handy. Guidebooks often do an excellent job of describing walking tours of the main sites. They’re also great for giving you some idea of the sites located within walking distance of each other. Use them as a general guide but be flexible to deviate from their recommended route to accommodate your preferences that are missing from the walking tours. Plan each day - what you’ll do in the morning, afternoon, and evening. If there are particular places you want to eat, put those in your travel itinerary, too. If I’ve never been to a country before, I like to spend the first day getting over my jet lag and taking a hop-on/hop-off bus tour, or I might take a guided tour. Then I get into the nitty gritty of my assignments the next day when I’m well rested. If time allows, leave the last day unplanned. This leaves you with a space to plug in any attractions you hadn’t planned for in advance, or something from a day where you simply ran out of time. You can find a variety of travel itineraries online to guide you. Wikitravel has a long list of travel itineraries for a wide variety of destinations and is a handy resource. You’ve done your homework and finally arrived at your destination. Your work isn’t complete! When you arrive, pick up as many tourist brochures as you can get your hands on. Airports often have good brochure racks loaded with tourist information. Your hotel will also have a brochure rack (or ask the concierge). These brochures have useful information about new attractions that may not be listed in your guidebook. Often there are brochures about the more obscure attractions that may interest you or they might be good new story leads. I’m not above raiding other hotel’s brochure racks too, as I pass by. You never know what you might find. As I mentioned earlier, it’s always a good idea to take a half-day or full-day tour around the city the first day. This gives you a chance to recover from jet lag while you get familiar with your new surroundings. Your hotel can arrange this for you as late as the night before. This is your “familiarization” tour to get the lay of the land. In other words, you’re getting some idea of the size of the city and where the main attractions are located in relation to each other. It also helps you adjust to weather, culture and simply being in a new place. If you can locate a Tourist Information Office, do this early in your trip - the first day if possible. 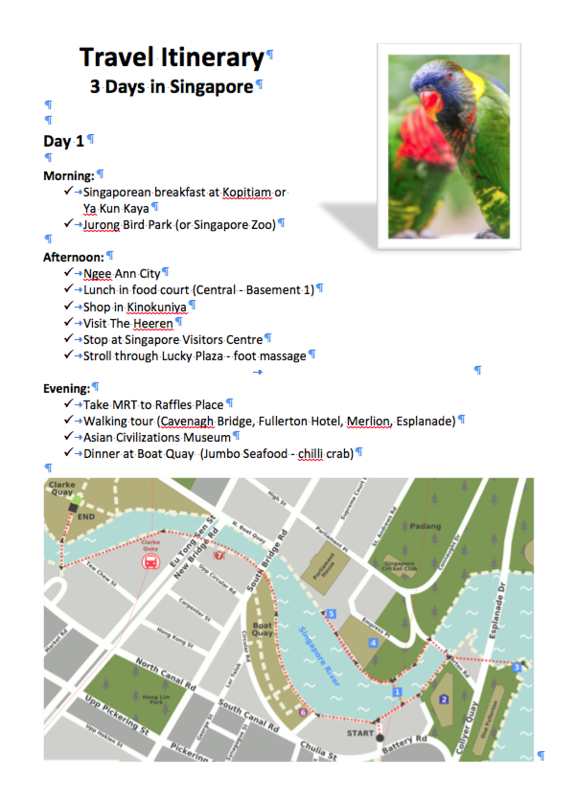 By your second day, start working through your detailed travel itinerary. Be prepared to revise your itinerary with new priorities. And, be flexible. Inevitably I don’t get through everything I have planned for each day. The attractions I missed are either tabled for the next day, or put into a “pool” that I hope to see eventually before I leave. Get organized and pack your daypack every evening before you go to bed. That way you’re ready for an early start in the morning. Eat a good breakfast every morning, and make sure you have adequate money for the day and for unanticipated shopping. Plan to arrive at your first site at opening time. One of my travel itinerary tricks is to see cultural places in the morning and early afternoon, followed by an afternoon visit to a shopping market, before heading back to my hotel and resting before the evening activities. Even if you have a well-written travel itinerary in your native language, it doesn’t mean anyone at your destination (especially taxi drivers) can read it. If you don’t speak the native language in the country you’re visiting, be sure to ask your hotel for some help. Before you leave the hotel each day, ask your concierge to write out a list of the places you want to go to in their native language. Then you can show this to a taxi driver who doesn’t speak a word of English. I prefer to have individual cards for each place I want to see. Make sure each card has English (so you can read it, too!) and the native language translation. Without these cards you are toast! Don’t rely on translation apps on your smartphone unless you’ve tested them thoroughly beforehand. Native speakers always do a more reliable job. Also, make sure you always have a card that says, “Take me back to XXXX hotel” in the native language. Never leave your hotel without a card with the hotel’s address and phone number. Even if you can pronounce the name of the hotel in the foreign language, chances are a taxi driver won’t understand what you’re saying. Make sure it’s written so they can read it. There are some countries you’ll only visit once in your lifetime - make sure it’s a great visit by taking the time to plan your travel itinerary and maximize your experience. Guided Tours: What's Good About Them?